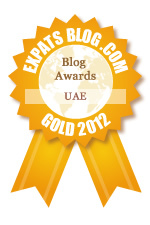 ExpatsBlog.com Expat Blog Awards 2012: Jordan Gold Award! Socially commited woman in a men's world. Respect! I love how you experience your expat life! I always read your posts and check out your comments on situations. your blog helped me understand Jordan better before and when I arrived here... specifically mentality wise. Love it!